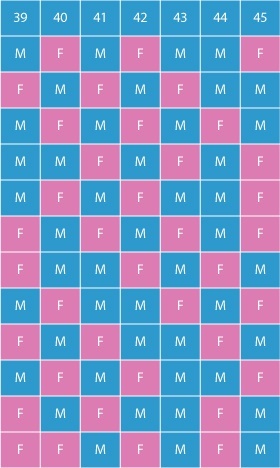 According to this chart, you can choose for yourself whether you want a boy or a girl. 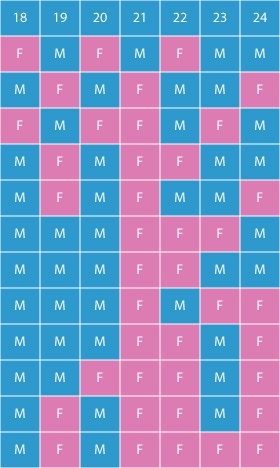 The woman's age (from 18 to 45) is on the top line while the months (January to December) indicate the month when the baby is conceived -- NOT the date the baby is born. 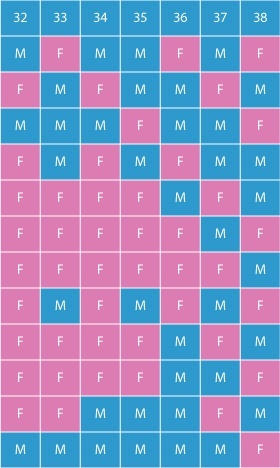 By following the chart you are supposed to be able to tell in advance whether your baby will be a boy or a girl. This chart is said to have been taken from a Royal tomb near Peking, China, with the original copy in the Institute of Science of Peking. The accuracy of the chart is believed to be 99 percent accurate. According to the legend, a Chinese Scientist discovered and drew this chart which was buried in a Royal tomb about 700 years ago. By reckoning, you follow a line drawn from the figure representing the woman's age to a line drawn from the month the baby is conceived. For instance, if the woman is 27 years old and her baby is conceived in January (according to the Chinese Lunar Calendar), then her baby will be a girl. 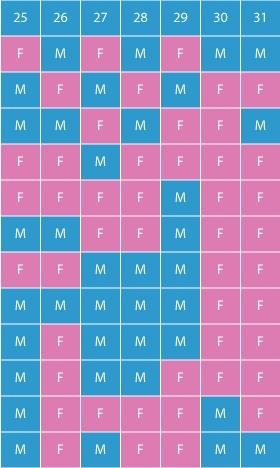 The chart is based on the month the baby is conceived and not on the birth of the baby.